I have so many great memories from my time at Maynooth, but my favorite one would be taking the forty-minute train ride into Dublin. I would often do this on the weekends that I wasn’t traveling Europe, and it was always something my friends and I looked forward to. We loved to sit in Merchant’s Arch and listen to traditional Irish music, while meeting the locals, and taking in the culture. We also loved to catch the traveling book fair that would come to the city on random Saturdays where you could get books for five dollars. The streets of Dublin are full of street performers, from great bands to magicians, and there was always something to entertain us. Shopping on Grafton street, and occasionally stopping for gelato was a must for us, and of course eating at great restaurants for a traditional Irish meal. I also loved to see the historical statues such as Molly Malone and the Famine Memorial. Dublin is a city where there is always something new to do or discover, and the close proximity to Maynooth is something that students take advantage of. I traveled to many different cities in Europe while abroad, and Dublin always remained my favorite. The food, culture, sights, and the people in Dublin are the reasons it has a special place in my heart, and that it is my favorite location to visit. First Year Spring Admit students should study abroad in Maynooth to take a big leap into college. This program not only allows you to study abroad, but it acts as a stepping stone from high school to college. You can take classes that go towards your major, while being able to travel and explore on the weekends and during fall break. You will make friends with the other UNCW FSYA students that will be coming back to UNCW with you in the Spring, making the transition easier because you will have friends by your side. 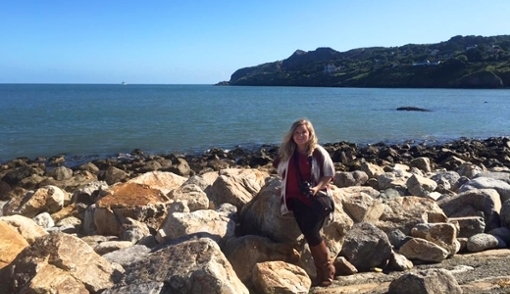 It is a rare opportunity for freshman to study abroad, but it is definitely worth it!